What if famous brands had fictional characters as ambassadors? Celebrities and athletes have been representing brands since before most of us were even born. It’s not surprising that it still works; we emulate our idols. Hell, I’d buy a Barbie doll if David Beckham told me to. Or print a T-shirt saying ‘Beckham told me to do it’, sure. Lately, some companies have started thinking well outside the box. They’ve gotten creative by using fictional characters as brand ambassadors. You’ve seen them around; Kenny Powers has personified the brand identity of K-Swiss, while Ron Burgundy touts the gruffness of the Dodge Durango. The idea is extremely entertaining, so I got to thinking: What other cool possibilities are out there? A quick look reveals that most companies already have their contractual brand ambassador. They’re good at aligning image and audience (although I’ve heard of some badly mismatched brand ambassadors). But hey, that doesn’t mean they can’t have several brand spokespeople, right? Wars are won with armies, not a sole general! So, let’s pair some of the most creative fictional characters as brand ambassadors for top companies. Hell, maybe they’ll take us up on the idea! Praised as one of the most intelligent minds to set foot in his own world, Sherlock Holmes’ astounding reasoning, myriad disguises, and his uncanny investigative abilities make him not only a hot ticket fictional character but a smart choice for the right brand. So who does Sherlock’s profile best match? His critical thinking and international renown need an analytical behemoth, so… PWC. With Sherlock, the brand ambassador at the helm, this accounting firm’s marketing report will thrive. 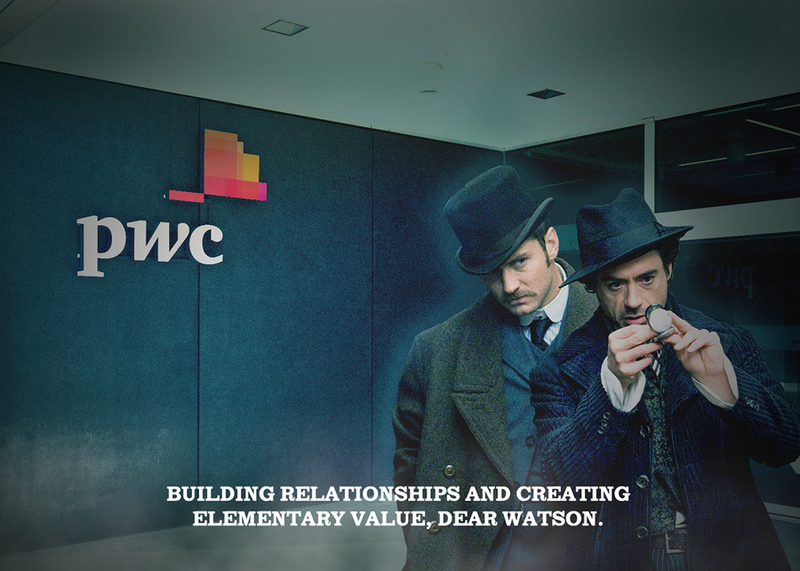 The famed Holmes is guaranteed to carry confidence and assurance to those who trust PWC with their books. I know I’d let them count my numbers! The mischievous flying boy from Neverland is always eager for a new adventure, especially since travelling doesn’t seem to be a problem for him. Hmm… travel. Second star from the right and straight on ‘til morning. Flying! 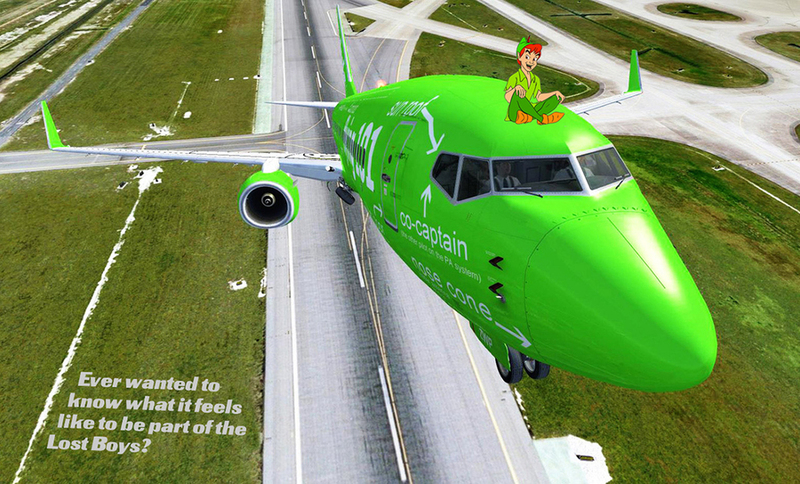 You ever heard of Kulula Airlines? It’s a South African travel company that already stands out for injecting humour into their daily endeavours. Here are a few of their funniest stunts. I don’t think I need to go further into explaining why Peter Pan would be an excellent fictional character brand ambassador for these guys! Perfect match, and a great opportunity for creative branding. This innocent and friendly girl managed to get from rural Kansas to Oz in record time. She also walked, and at times skipped, the exceedingly lengthy yellow brick road, and all in heels! Those had to be some magical, but still very comfortable heels. Shoes of Prey boast about producing the world’s most comfortable heels. One of the co-founders, Jodie Fox, even demonstrated the shoes’ pleasantness by happily running in 4.5” stilettos. Jodie and Dorothy should have a chat. Dorothy will succumb to the superiority of the super stilettos and agree to represent the company as its fictional brand ambassador. 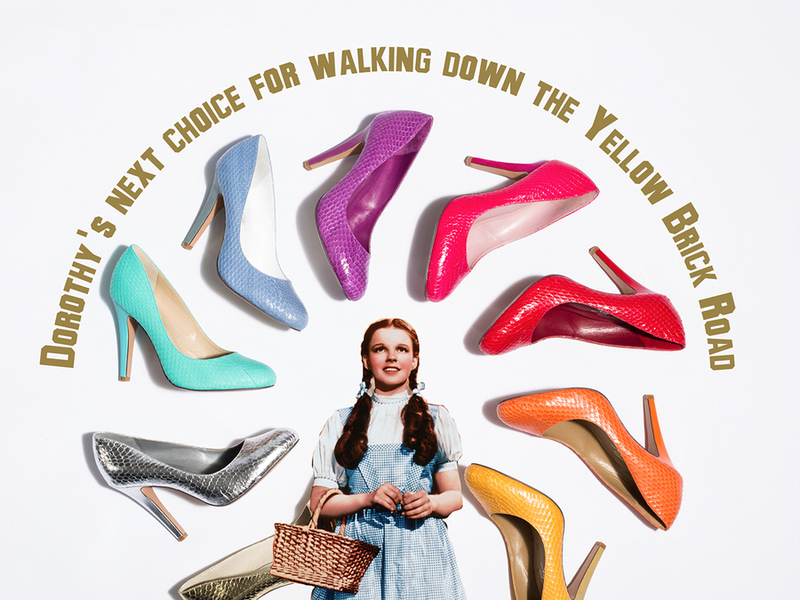 Dorothy could swap the bright red heels for the stilettos, then run off to Emerald City where she comfortably round-house kicks all the flying monkeys and the witch without breaking a sweat. Sometimes the brand ambassador needs to lead by example, rather than personality. Another example of an actionable brand ambassador, Yoda is. One of the most iconic fictional characters from the big screen is also the most badass Jedi fighter despite his 66 cm height. What better brand to represent than the likewise badass and inspirational sportswear manufacturer, Nike. Nike inspires customers to get active. 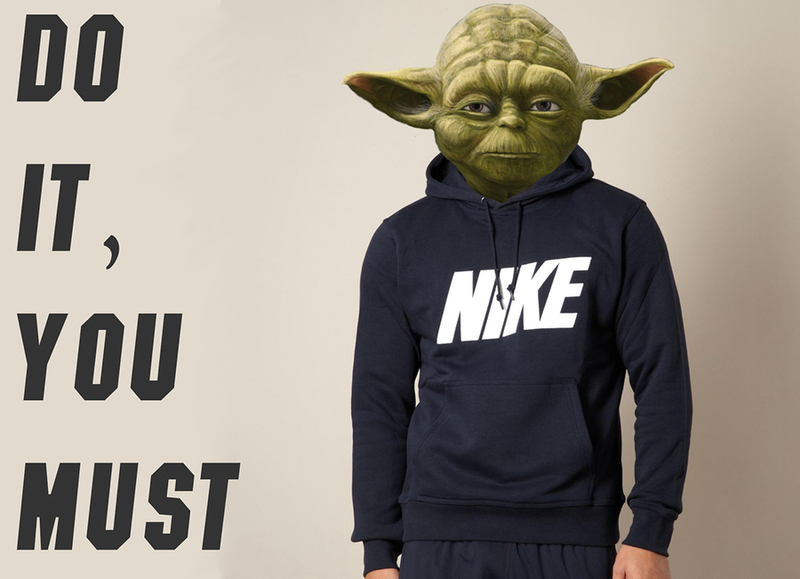 The tiny Jedi Master only ever succumbed to old age, so as far as fictional character brand ambassadors go, he’s the best to help Nike eliminate excuses from people’s vocabulary. And damn, he sports that logo like a star! I watched all the Star Wars movies, guys. I know. By the way, do you need T-shirts for a marketing campaign? ? Printsome’s apparel-printing services are perfect for making souvenirs, merchandise and staff uniforms, among many other possibilities. Visit our website to find out more. 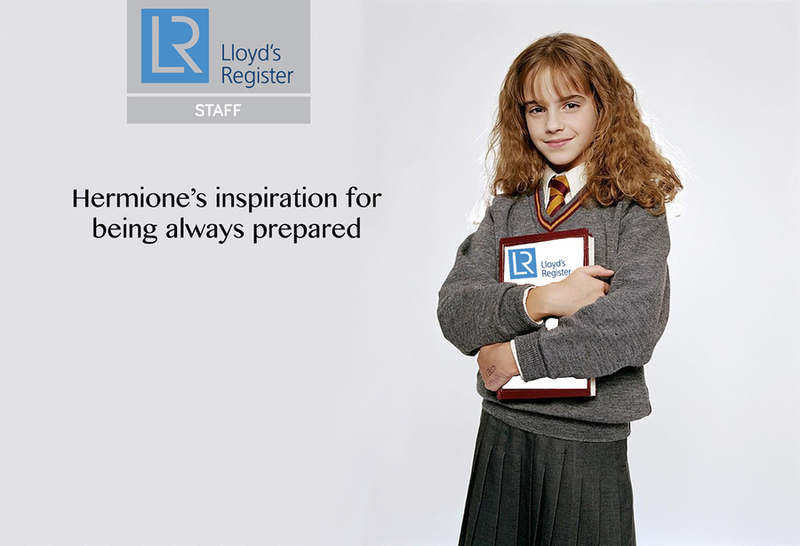 Harry had the bravery, Ron was the comic relief, but Hermione was the only one that was always prepared for anything. Whether it was potions class or a Death Eater attack, it was next to impossible to catch her off her guard. If she had a personal slogan, it’d be “Be prepared”. What kind of product exists just in case? A fictional character with this much readiness for the unexpected would perfectly embody Lloyd’s Register of London. Fidentia is Latin for confidence. It’s the insurance firm’s motto, and I can’t think of any other character that buoys the confidence of those around them better than this young witch. I declare Hermione of the weird-spelt name now brand ambassador to Lloyds. Done and done. Everyone knows the magical nanny who swoops into the Cherry Tree Lane home to teach the children life lessons before departing once more under her umbrella. She had some strange and magical powers and even took the children on adventures. I am probably not alone, though, when I say that my favourite was her magical bag. Her bag was a bottomless pit that stored innumerable objects. Although that’s not unheard of these days, and my girlfriend’s purse can back me up on that. But seriously, who needs a reliable fictional character brand ambassador with a super awesome bag? They’re constantly looking for a bag just like Mary Poppins’. 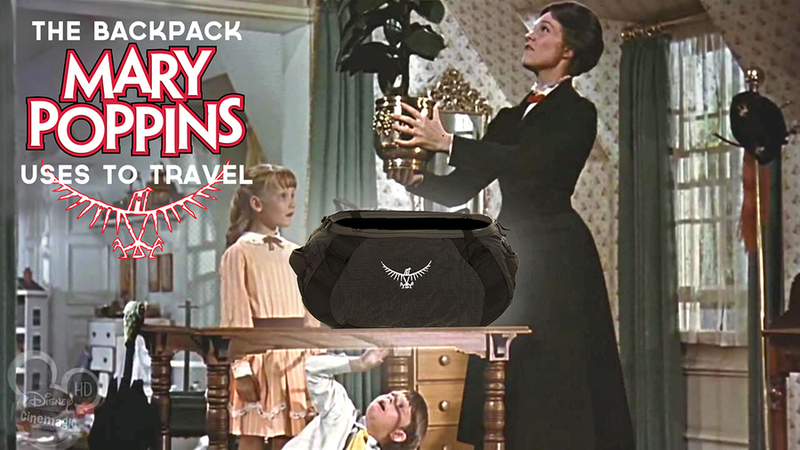 So I propose a partnership between Mary Poppins and Osprey, the industry-leading backpacker backpack maker (reviews love them). If I need a reliable bag with tonnes of space, I’d recognize the lesson-giving Poppins qualities and buy myself an Osprey. This fictional supervillain has the constant mission to tempt and arouse bad behaviour. He strives to push everyone to devolve into sinful conduct. 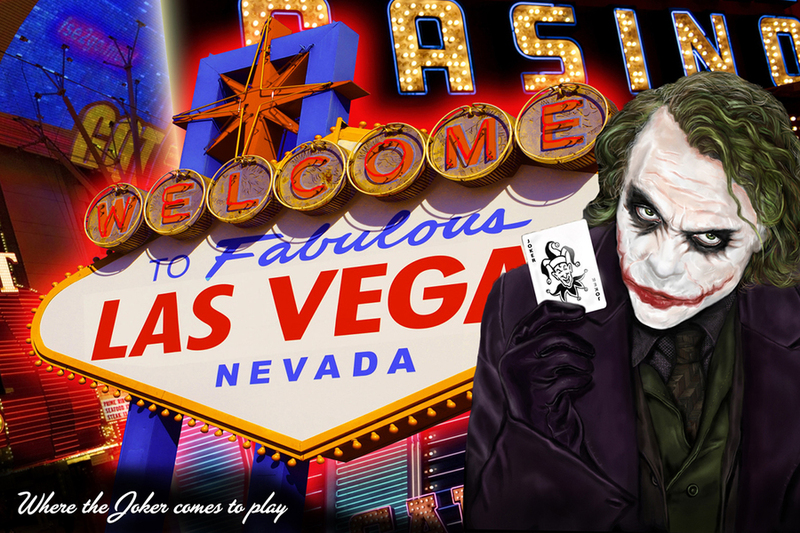 There’s one city whose essence parallels the Joker’s softer aims: adult’s Disneyland —Las Vegas, Nevada. Our favourite Sin City shamelessly promotes itself as the place where you can be yourself, or anyone for that matter. After all, ‘What happens here, stays here.’ So, who better to promote the city of what many consider to be immoral acts than the king of sin? No one, that’s who. Dr Seuss’ most distinguished character has a rhyming ability that puts most present-day rappers to shame. He is also the only guy that makes green eggs and ham sound like a tasty meal. Britain has never really been known for our food and the titles don’t help either. Case in point: Mr Brain’s Pork Faggots. They’re quite righteously delicious, but people who don’t know the brand might think otherwise. 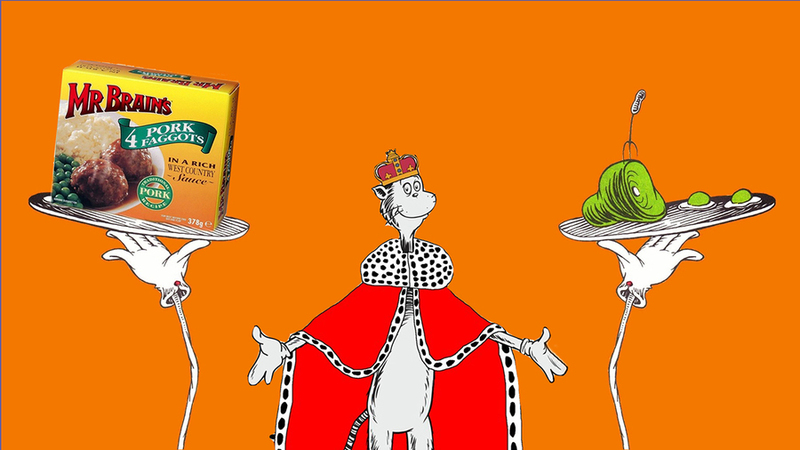 I can’t even begin to replicate his rhymes, so I can’t give you a sample of where I’m going with this, but if the Cat in the Hat made unwilling Sam I Am try green eggs and ham, I think he might be of particular use to the British Tourist Authority. Thanks to our five years of experience in the T-Shirt printing industry, we are now able to satisfy the needs of even the biggest of companies. Printsome’s services are not only perfect for a marketing campaign but also for producing uniforms and souvenirs..
Printsome is a t-shirt printing agency delivering printed vests in Plymouth, custom polo shirts in Sunderland and much more everywhere in between. For a quick quote, some advice on personalised polo shirts or vest printing, or simply a nice chat about fictional brand ambassadors, just get in touch! What if Countries Were Sponsored by Brands? Vitamin B(randing): Top Brands Turned Into Pills!